The railroad industry has long been considered one of the most dangerous fields of employment, even for those who only work in the rail yards. According to the Bureau of Labor Statistics, the railroad fatality rate was double and even almost triple the rate of employees in the private sector between 1993 and 2002. In 2013, of the railroaders that have been killed in the line of duty, none were on a train, most working on the tracks or in the rail yard. Although the train industry is fairly small, the percentage of workers that are injured is very high. Rosenfeld Injury Lawyers LLC can assist you or a family member with a railyard accident case in Illinois. Our law firm has a history of obtaining superior results for people injured in rail yard accidents. Put our experience to work for you and contact our office for a free review of your case. Overexertion one of the main causes of injuries, including lifting, bending and other strenuous activities. Heavy equipment injuries, including crushing and amputation injuries. Other risks for injuries while working in rail yards include exposure to hazardous materials, both those being transported and those used on equipment. Heat and fumes are other possible sources of injury. Loud noise associated with rail yards often can cause hearing damage. And last, but certainly one of the deadliest, impact with the trains and cars on the tracks can cause severe injury and death. Since there is a burden of proof in FELA cases to show that the employer was at least partially to blame for the negligence leading to the injury, most railroad employees including rail yard workers should hire an experienced FELA injury attorney to represent them in their case for maximum compensation. There are specific rules and regulations pertaining to FELA cases, making them complex and best handled by an attorney familiar with handling these types of lawsuits. Rail yards are a constant hub of activity as many different companies are involved in getting material and goods onto and off of trains. 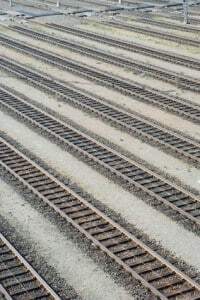 When an accident occurs on a rail yard and the injured worker does not work for the railroad, they have different rights than accidents covered under FELA. In many cases, non-rail road workers may pursue a workers compensation and a third-party negligence case when an accident is caused by a person or entity other than their employer. For example, a truck driver sent to pick up material from a rail yard and his hit by a backing train, would likely have both a workers compensation case against his direct employer as well as a cause of action for negligence against the rail road company that caused the incident. After handling hundreds of rail yard accident injury cases, the team at Rosenfeld Injury Lawyer knows how dangerously operated many of these rail yards are for workers who are required to access these distribution points as part of their job. We appreciate the significance an injury can have on the employee and his or her family and always work to ensure all avenues of recovery are explored and maximized. We regularly get statements and conduct on-scene investigations for rail yard accidents to secure vital information for our clients. If you have been injured while working in a rail yard or have lost a loved one that was a rail yard worker, you may be able to receive sizable compensation through a FELA claim. Our Illinois FELA attorneys at Rosenfeld Injury Lawyers LLC can assist you in obtaining compensation for medical expenses, wages lost and possibly pain, suffering and punitive damages. Our team is experienced in FELA cases and we offer a free consultation to listen to your story. There is no risk, we only ask for payment once we are successful in getting a financial award for you. Give us a call today to schedule your free appointment.